To strengthen transnational exchange of experience a transnational meeting will take place twice during the CLIWAT project and one of the meetings will be held in Denmark December 2009 in conjunction to the United Nation Climate summit meeting in Copenhagen (30.11.-11.12.2009). Besides project members also around three representatives of each case study country will participate. The role of each representative is to link the national recommendations and actions to the higher transnational level and vice versa. 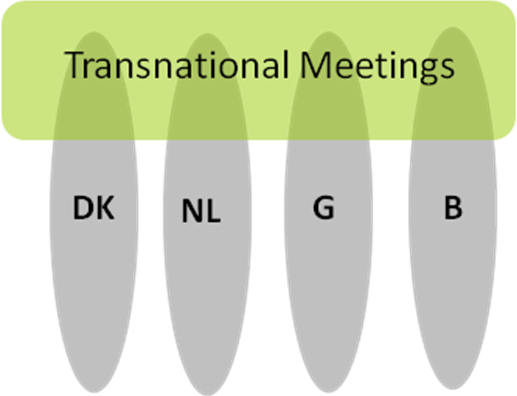 Transnational meetings will provide the forum to elaborate inputs for and needs for policies as well as inputs for decision-making in regard to the North Sea region. The two transnational meetings will be connected to activities of general interest as the UN Summit in Copenhagen or specific fieldwork activities and excursions. Transnational meetings will be further used to invite experts from sciences to complement the interdisciplinary team composed of project members and stakeholders.